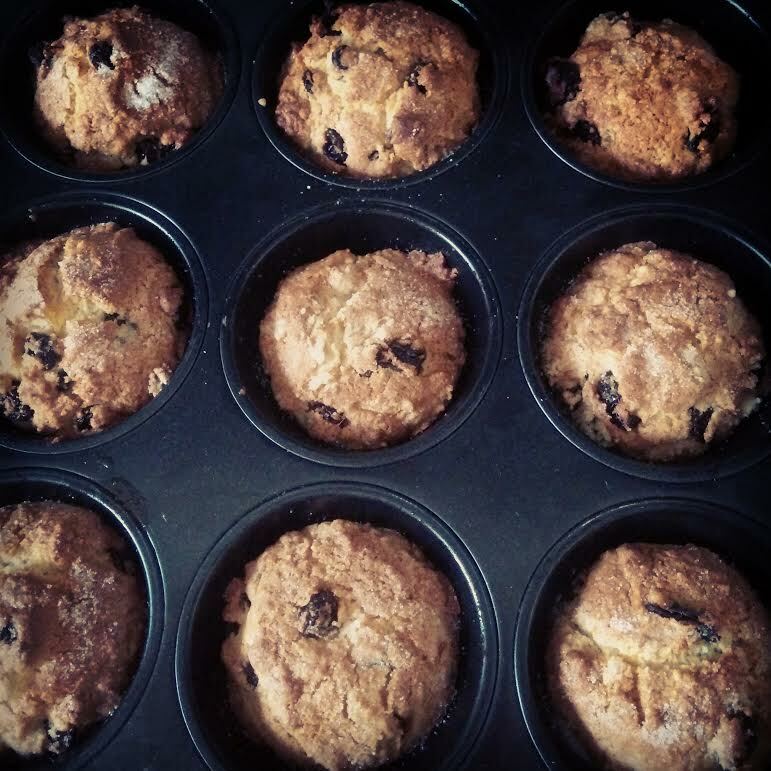 These rocks buns were on my grandfather’s wishlist for every birthday, Christmas and Father’s day, so my mother would always make him a big tin and some for us at the same time. She would make some slightly burnt ones especially for me, because I liked them that way. I guess the reason my grandfather liked rock buns so much is that they are good with a cup of tea. I think they make a nice breakfast when you’re in a hurry! 125g dried fruit mix (raisins, currants ,sultanas and orange/lemon peel). You can make your own mix). Stir in the sugar and fruit. Mix in beaten egg and add enough milk to make a sticky consistency. Drop the mixture into greased muffin or cookie pans. Bake for for 12-15 mins at 220 degrees C or 425 degrees F.